Renovations on the house have kept me away from models and hobby in general for a few weeks. 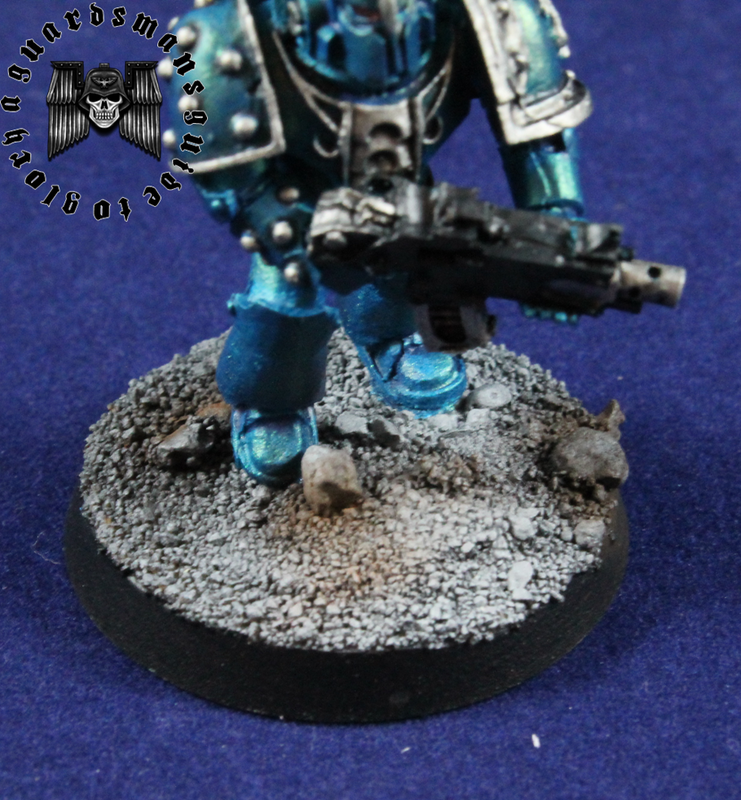 I have been thinking a lot about it though, more specifically my Heresy Alpha Legion. Firstly I've been looking at alternative color schemes (more on that soon!) I'm not convinced i'll change the scheme, but i need to scratch that itch before i continue painting any more. The other thing I've been pondering over is bases. I generally put a bit of effort into my bases, especially the larger ones. However, i kept looking at my Alpha Legion and thinking that something was missing. They were quite bland. I did a quick trawl of the internet to get some ideas and found a great tutorial from Third Eye Nuke Studios on how to paint urban bases. I highly recommend it! I couldn't replicate their tutorial completely (i'm waiting for spare parts for my airbrush) but i did try my best to do so using weathering powders. Below is a Destroyer. 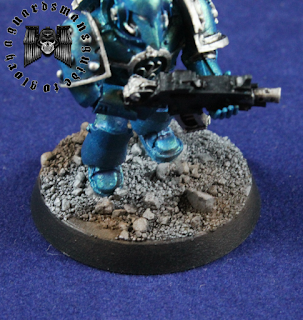 I had used some weathering powder on the Destroyer bases, but they did little to make them more interesting. I think its a big improvement! Golden Daemon statues didn't start falling from the sky, but it just makes the base a lot more interesting and gave the overall appearance of the model more depth. I also took some proper photos in the light box so you could see the effect better. After thew Destroyers bases were 'treated' i moved onto the Tactical Marines i'd done. Again, mode depth and better contrast, making the base a bit more interesting! I'll be giving Third Eye Nukes technique a proper go once my airbrush is operational again. I'll let you know how it goes. How do you do your bases? Do you have any good tricks that can supplement this method? Haha, 'golden deamons didn't fall from then sky'. It looks really good though! They look great already. 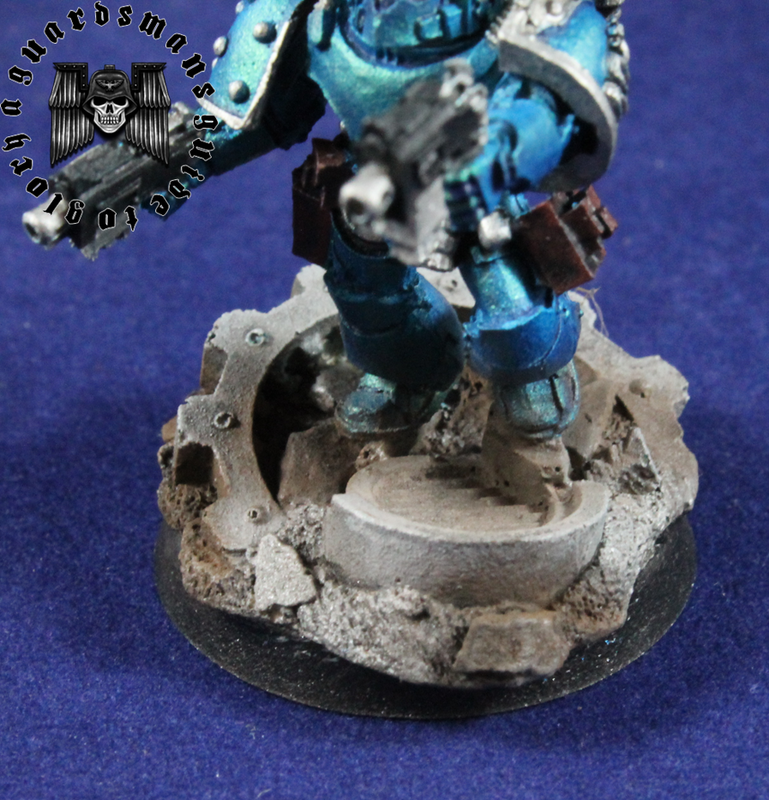 It's good to see you painting some 30k again! I use plain old boring dry brushed sand or earth colours generally. I did do more with Russ though. 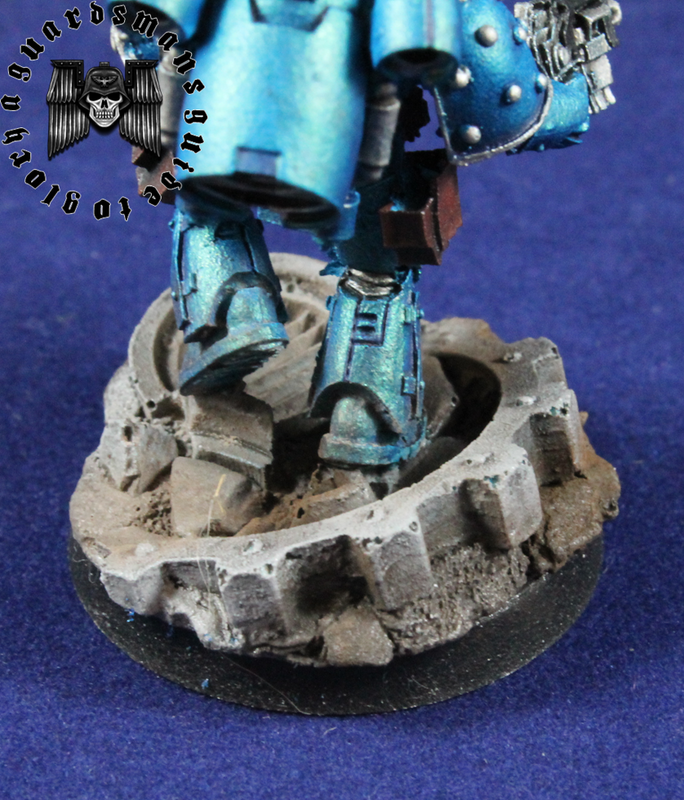 New Collaborative Blog - Infinitus Bellum!